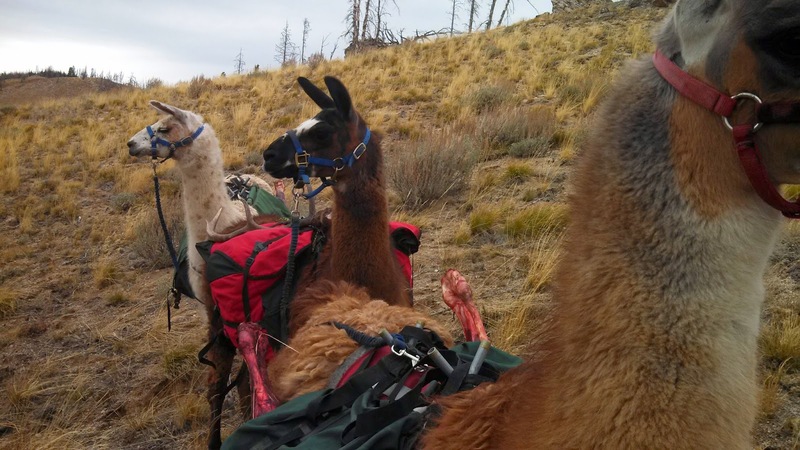 Blood, Sweat, and Deer: Finding Weird through DIY: The Beginning: Why Llamas? I must lay the foundation for the best decision in my hunting "career," but first an introduction to understand where I come from and how I started. I love Idaho, born and raised in this great state, I remember the day my dad brought home two plott hounds to start his hand at the world of hound hunting, I was six years old. Since then we have pursued everything we could in the mountains that we could make an excuse to get out and pursue. Deer have always been my passion, hence the title, Blood, Sweat and Deer. A friend of mine once quoted that I would like to echo as my own, "Elk give me the fever, but deer make me crazy." 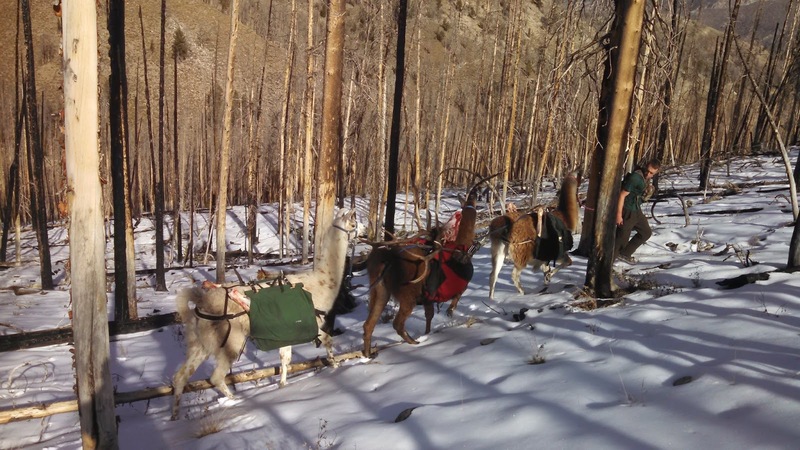 I come down with big mule deer fever every year, maybe you have experienced it yourself. It starts around January 1 and ends December 31, the worst symptoms show up around April-May when applying for controlled hunts, symptoms really heighten when you see the words in July "Successful" on the draw results page of the Fish and Game. It was a nice mature buck that encouraged me in a special way to get into llamas. The sun was about to set back on Oct. 10th 2008. I was on a general deer hunt solo in the mountains above Carey, ID. As the last rays were almost gone I peered over the ledge of a cliff in the third canyon I had hiked into that afternoon chasing a group of deer. A four point buck was right below me broadside oblivious to anything going on. First shot went high, after a couple explicits I actioned another round and fired. Buck still stood there looking around, dumbfounded I fumbled in the third round as the buck took off down the bottom and up the other side. Third shot found its mark as he was running up the hill, right before the tree line he stopped one last time to look back before entering the dark timber. My 168gr berger hit him high shoulder, and he was down. I was excited, frustrated, and very anxious. First excited, because I had just walked a marathon, saw the group of deer and told myself they would lead me to other deer, and they had, just shot a nice mature buck. Second frustrated, why did I miss? The buck was downhill past 45 degrees and I had aimed mid shoulder, my point of impact changed as I hadn't accounted for the downhill shot. Had I aimed where his chest line met the ground I would be three bullets richer. Third I was anxious because now it was dark, I was dehydrated, hungry, exhausted, and I had to be at work at 5 in the morning. Most hunters hunt to an invisible line of three miles from the truck, past that your mind starts to convince you that packing out an animal would be ludacris. I was past that invisible line about a mile and a half and found myself in satan's hell hole of jungle and thick, rocky, steep nastiness. You've been there, you know what I'm talking about. Due to time commitments, that buck had to be off the mountain that night. I love hunting a lot, but dragging a deer through a mile of jungle and rocks is a guarantee program of discouragement. When I was at the bottom, I was on vapors, nothing left in the tank. I cut the buck in half, threw the back half on my shoulders and walked back to the truck. Round two was unforgettable, imagine the hilarious sight of a guy with half a deer, hide, antlers, bones. and all on a framed back pack. Bent over with his hands on his knees because of the weight walking slowly step by step 3 miles back to his truck. Yea, that was me, stupid you say, I would agree, there is a better way to pack an animal out you say, I would agree again, trust me every step back to the truck I would agree with you. Something had to change, and I was willing to try anything to never have to do that again. In my quest I came across pack llamas, trust me I started laughing the second I heard it just as you are now. People still laugh, and give that look and smile, they are polite and courteous but I know they are thinking I'm crazy or weird. Now I won't give you a lesson on the perfect structure when getting a llama, that could take days, and there are several google searches that could inform you of such. What I will tell you is after 28 llamas I am down to three. Free llamas, rodeo llamas, spit in your face llamas, kick you, drag you, run through down town llamas, been there done that, have the t-shirt. All those experiences reminded me of that buck I packed out and that I was determined to make it work. Jasper, Romeo, and Buckshot have been a blessing in my hunting life like no other. 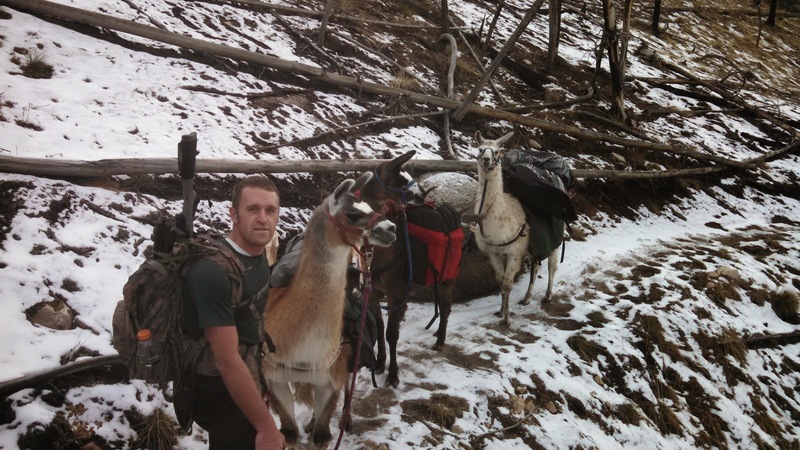 They are truly the ultimate pack animal. Time to brag a little, so please bare with me, they are tipping the scales at 400 lbs each, and are 48 in. at the withers. Pound for pound I would put them up against any animal, I can say that because of what they have done. Their resume; each one can pack out a full mature buck as far as you want, and in whatever terrain you want. Jasper can pack the back end of an elk, he has done it five times, he doesn't need rest and will go straight up hill as fast as you can walk, and I walk fast. He packed the back end of an elk last year 13.8 miles straight, that is almost 160 lbs. He truly is a freak of nature. Another freak of nature is his brother Romeo who is just turning four. He has been with me since he was born and is the best all around llama I own. I haven't pushed Romeo to the extreme yet, because he is still young, but he will pack a whole buck out easily and by next year will be able to carry and perform like his brother Jasper. Buckshot is also their brother, all had the same sire, different dams, he is a close second to the other two if you want to call packing 120 lbs all day a close second. You might say to yourself, I can't afford llamas, or I have no room for llamas, or even sillier, I don't want people to laugh at me and make fun of me. True, a good pack llama can be spendy, do your research and find good genetics, save up and get one that has been worked with. Free is free, only two llamas that were free have I kept, one has since died and the other went to a friend getting into pack llamas. Word of advice, avoid free unless you know what you're looking for, if not spend the money. 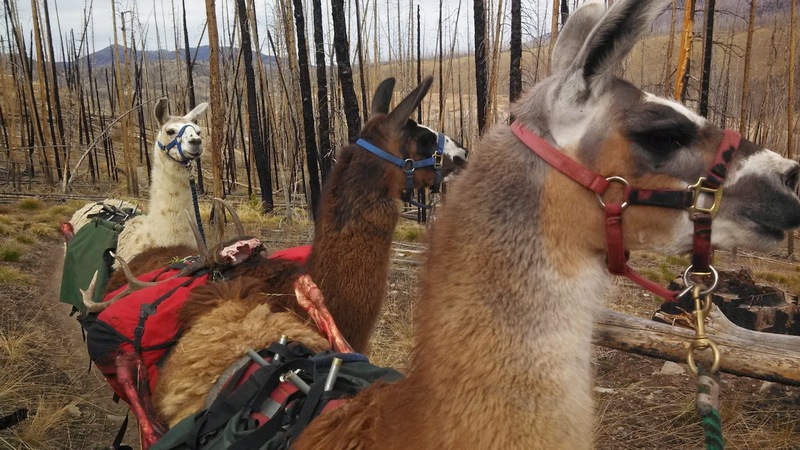 I can keep three llamas on 1/4 of an acre, it might be a little tight but it is doable, exercise them once in awhile, or a few months out of the year pasture them in a friend or family members field if the opportunity is there. I can feed four llamas what I can feed one horse, I pack no feed when hunting only some grain and they can go three days without water. Let people laugh, that is ok, I packed four elk out last year in four days, and three bucks in one and a half, never once with any weight on my back except my day pack. I ate like a king, slept on a 4 inch foam pad, and had all the gear I could want, and did each trip only once, all in the backcountry. Like I said, let them laugh. Dare to do things different, if it seems impossible, it is worth doing. 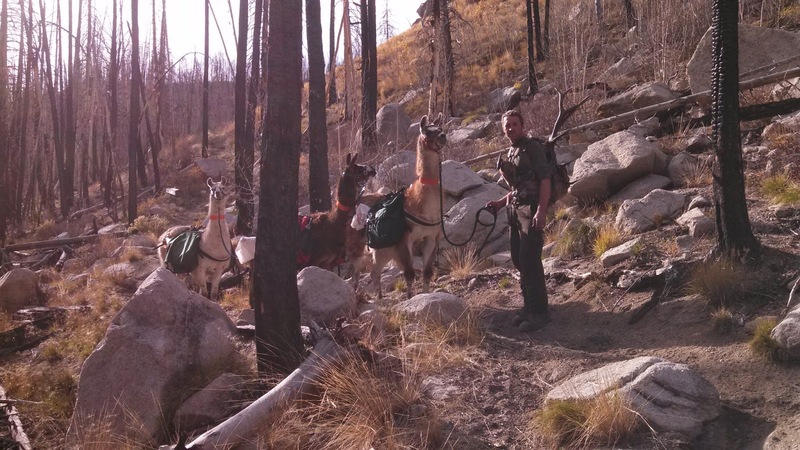 If llamas interest you, if a better hunting life interests you, make it happen, I promise it is worth it!